If your cutie pie loves to play "grown-up" here's the perfect gift! 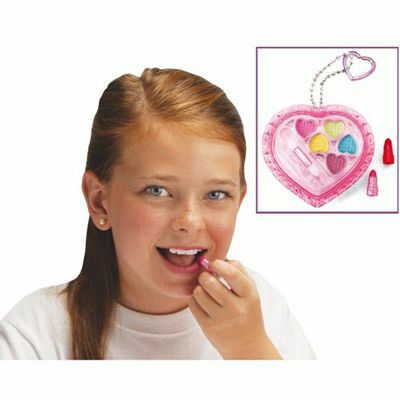 Heart-shaped compact with heart handle holds the essentials: five eyeshades (pink, yellow, green, blue and mauve), two lipsticks (pink and red) and foam eyeshadow brush. Ages 4 and up. 4½"h.